The strength of a man is usually judged by his torso and arms: big shoulders, broad chest and powerful biceps. These are the archetypal features of a strong man in popular culture. Rarely does someone think about legs… If you ask a person to show you his muscles, he’ll instinctively roll up his sleeves and put his biceps on display – it’s hard to imagine someone pulling up his pants and showing his legs! This is also reflected in the gyms – everyone is training hands and torso. About 90% of all exercises performed in the gym are upper body exercises and 50% of them are hand exercises. It’s rare to see athletes in hard leg training. This is an indication of a wrong approach, a case where archetypes and popular culture have overtaken science and tradition. Serious athletes know real strength is not in the arms and shoulders, but in the legs. Every movement of the body, including the arms, is supported by the lower part of the body (except in a sitting position, etc.). While upper body strength is necessary for many athletic exercises, the basis of this strength are the legs. If the legs are weak, the upper body will be inept and ineffectual, no matter how strong. We welcome to the first step to building lower body strength, the first of 10 exercises, all based on the classic squats. You are starting a gradual process that can take you a while, but your efforts will yield a better muscle tone, an optimal posture, improved sports performance and a general increase in your ability during daily tasks which require physical effort. While holding straight, start bending the knees until they touch your forehead – the final position. Straighten up your legs and go back to the starting position. Complete your reps. Shoulder Stand Squats is a great exercise for those who want to learn squat technique. By inverting the position of the knees and lower back, there is no load. This exercise is recommended for individuals who are doing rehabilitation after leg injuries, beginners and those in bad physical shape. 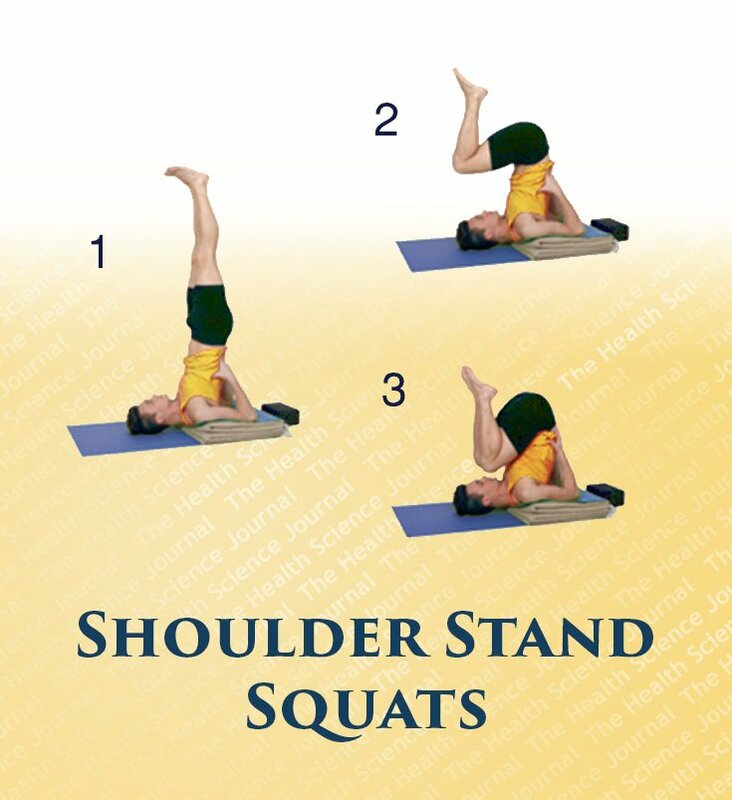 In reality, the exercise provides a stronger load on the upper body, but allows you to master the technique without stressing the joints and ligaments, gradually improving the stretching of the muscles involved. Not all can bring the knees to the forehead on their first attempt. By slowly increasing the depth of decent of the knees with each workout, the joints will gradually relax. However, please note that the exercise is virtually impossible to accomplish properly if you have excess weight and a sagging belly, which will unnaturally press on the chest, hindering breathing. Try exercising on an empty stomach, until you lose the extra pounds. After overcoming the Final Level of the Shoulder Stand Squats continue with the next exercise – Folding Knife Squats.